With its traditional looks and tone, Mitchell’s new TB500 electric bass is a true rock, blues, and pop workhorse. 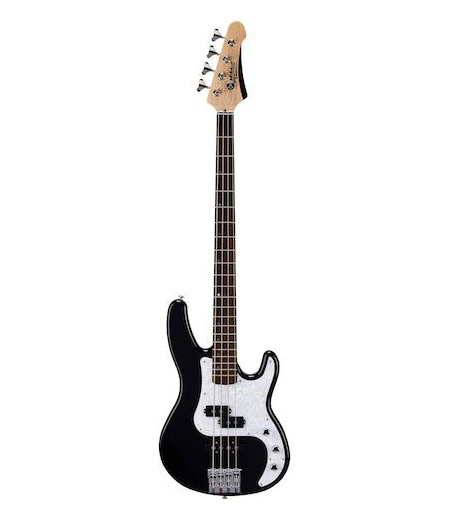 Bassists will immediately appreciate its traditional-style, custom-contoured alder body; one-piece, 34-inch-scale maple neck; and smooth Indian rosewood fretboard with 20 jumbo frets. High-tensile-strength fretwire provides durability and a smooth playing experience. Standard split-single and single-coil, paraffin-dipped alnico-V pickups let you switch instantly from blues to classic to modern rock, while mitigating microphonics and feedback. Separate volume controls for each pickup and a master tone control enable extensive sound sculpting. As a result, you can quickly and easily adjust your sound for a wide variety of musical genres. The TB500’s high-mass, adjustable bridge ensures a robust tone, smooth sustain for days, and solid intonation. A Graph Tech TUSQ XL friction-reducing nut and high-ratio, Y-type tuning machines enhance tuning stability and make precision tuning easy. 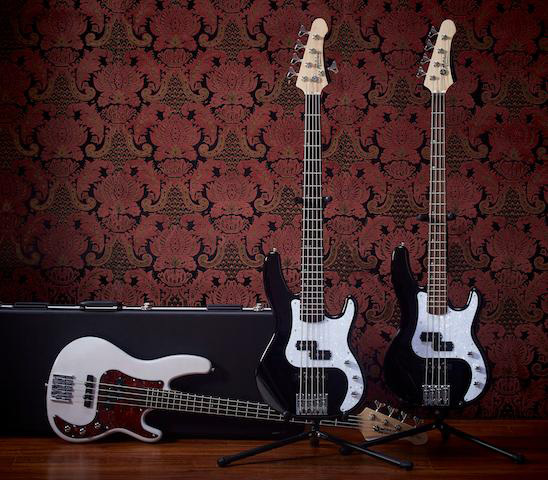 The Mitchell TB500 Series basses come in four-string and five-string versions and is available in black with white pearloid pickguard as well as transparent white blonde with tortoiseshell pickguard. Attractive nickel hardware further adds to the instrument’s classic look. Get your hands on the new Mitchell TB500 at Guitar Center or Musician’s Friend or visit www.mitchellelectricguitars.com for more information.